Yet this isn’t an industry dominated by the biggest names. Even in the heart of a competitive market such as London, it’s innovation and a creative approach to technology that allow smaller startups to compete toe for toe with more established brands. Every month, it feels like something new has hit the industry. So, what’s to come? There have been a number of companies that have had remarkable successes this year. Whatever they have planned for 2019, here are the top 10 fintech companies in London to keep an eye on. While it’s relatively new, founded just 2 years ago, TrueLayer has found success by supporting other Fintechs with its API, allowing smaller startups to access banking data without having to first design and built their own systems. The company also secured $7.5 million in funding, in order to expand into Europe. In the words of the founder, Francesco Simoneschi, an experienced venture capitalist from Silicon Valley, TrueLayer’s goal is “the creation of a secure infrastructure that underpins Open Banking”. Open Banking is about much more than liberalising the finance industry to increase competition and reduce costs. It is also about raising security standards and protecting consumers and businesses. Online fraud (...) ripples out and raises costs for everyone making card payments. - Simoneschi was quoted in the 2019 Internet Security Threat Report, by Symantec. With new markets to enter and many new startups needing support, TrueLayer has the potential to gain a lot more business, as well as the opportunities to refine its product for a global scale. First steps has been already taken - at the beginning of the 2019, TrueLayer launched its data API in Germany. Moreover, as the TechCrunch noticed, the company has launched a beta of its own Open Banking-based Payments API to enable businesses to start accepting payments through Open Banking. The second major product focused on payments is due to launch later in 2019. The company has also signed partnership deals with Zopa, BitBond, ClearScore, and Anorak, amongst many others. Founded in 2011, TransferWise is a great example of a longstanding startup that has achieved consistent success. While its HQ is still in London, it now has offices around the globe, supporting over 300 currencies. The company was originally started in Estonia by Taavet Hinrikus, who had experience working with one of the country’s most famous startups, Skype, as well as Kristo Käärmann, current CEO of the company. Its focus to provide better currency exchange rates, matching users, rather than relying on traditional banking methods and rates, something that has resulted in clear successes. In July 2018, TransferWise launched its services in Hong Kong, and reports suggest it has already lowered exchange prices by more than 20 per cent. With a system that’s proven to work for the consumer, it’s easy to see the potential for expansion the service still has. And the company is, indeed, expanding. It has been reported by the Sky News, that TransferWise has appointed Goldman Sachs to advise on the sale of $200m of shares by existing investors, with a valuation close to $4 billion. Would that lead to an IPO? Not necessarily, TransferWise's CEO has stated that he doesn't see huge benefits of being a public company, and the company itself sees no reason to go public. If there’s one example of how aggressive fintech startups can be, it’s challenger banks. Where else can a humble startup take on well-established institutions, like banks, by offering a modern, innovative alternative? Monzo is one such example. Founded in 2015, the company offers a mobile-only bank account and, since last year, they have also offered current accounts in the UK, with a focus on an intuitive banking model for its customers. This friendly approach lies at the core of Monzo’s philosophy. After teaming up with Jumio to improve their app, Monzo won awards in two categories at the UK Digital Experience Awards. With continued success like this, 2019 might be the year London’s big banks start to get a little more concerned. And consumers keep sending strong signals to the financial indsutry - in the recent survey, Monzo came second as the best British bank, only 0.2 per cent behind a rival Starling Bank. One of the fastest growing banks in the UK has also poached Alwyn Jones from Barclays to led the challenger bank’s finance division. While it was founded by Nick Hungerford, a former Barclays banker in 2011, Nutmeg’s wealth and investment management services have experienced substantial growth recently, leaping from 40,000 customers last year to over 50,000 right now, which is a 125-percent increase in its user base. At its core, Nutmeg uses technology to allow people to invest their money. The unique difference is that the company does this through their team, rather than with algorithms, and users can define their targets and even choose how much risk they are willing to take before Nutmeg presents them with portfolio options. The business model highlights a key feature of today’s fintechs: engaging and working alongside your customers. Combined with a low minimum investment, this strategy stands to bring plenty of success in the following years. Early in 2019, Goldman Sachs invested in Nutmeg, leading a funding round of $58 million. - First of all Nutmeg will focus on consolidating our dominant position in the UK and scaling into Asia. After that, and on a selective basis, we will look to Europe and the US. 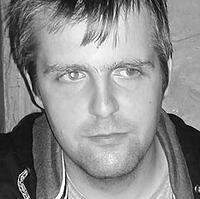 - explained Nick Hungerford, founder of Nutmeg, in the interview with "Forbes". Another company that offers a digital alternative to traditional banking, Monese, has focused on current accounts and money transfers since 2013. While the UK’s first digital bank may have been overshadowed by larger startups down the line, Monese is appreciated for its quick and easy application process. Monese is available in 20 different countries, and there’s no sign that it will be slowing down anytime soon. In 2018, Monese joined the fraud intelligence agency, Cifas, with a focus on preventing financial fraud. Rather than chasing after raw numbers, Monese is focusing on providing a high-quality service that inspires longtime customers. For Monese, in 2019 we would love to provide a more complete financial ecosystem for our customers, with more features and partnerships available to them - Yannis Karagiannidis, Head of Growth at Monese, told Netguru recently. Yannis Karagiannidis, Head of Growth at Monese was one of our guests at Netguru Disruption Forum in London. See the key takeaways from the event. Last year, Receipt Bank celebrated the sixth year of consecutive growth, so it’s safe to say that the company has a proven strategy. Since it started in 2010, the organisation has expanded out of its London office, opening secondary locations in France, Australia, and the U.S. Receipt Bank offers a cloud computing service, combined with AI and data handling, to automatically compile accounts and expenses, saving its clients time and effort. Receipt Bank’s users can download reports and spreadsheets, or even integrate the service with their own cloud-based accounting software. It’s easy to implement, and it saves businesses staff hours and costs. Companies clearly like it, so 2019 may end up being the seventh year of continued growth for the company. In February 2019, Receipt Bank has also reshuffled management board a bit - the company has appointed Adrian Blair, former COO at Just Eat, as its new chief executive officer. The founder Alexis Prenn will stay in Receipt Bank as chairman of the board. 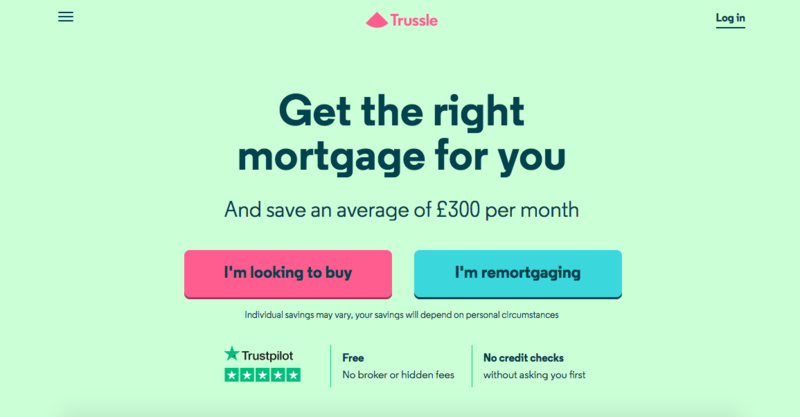 In May 2018, an online mortgage broker, Trussle, secured £13.6 million in round B funding, so we can expect to see more from the company in 2019. Trussle does what so many other fintech companies have done: it’s found a niche in the market and designed a service that directly helps customers. It compares over 11,000 deals from more than 90 different lenders to help clients get the best mortgage. As if weren’t enough, Trussle also continues to watch the market and help users identify and switch to better deals later on. It’s this ongoing support that retains customer loyalty and appreciation – something that investors clearly share as well. According to the report published by Trussle in March 2019, homeowners can save on average £4,500 a year. Trussle calculations showed, that in order to save money, homeowners should move away from their lender's standard variable rate (so called SVR). This year, Cleo pushed its AI chatbot for Facebook into the U.S. market, reportedly achieving 1,000 new sign-ups a day, with rumoured plans to expand into other English-speaking countries. Cleo’s AI helps users to manage their finances through a social media chatbot. Users can track their expenditure and savings, all within Facebook Messenger, which helps them save money and plan their finances better. It’s already proved successful, and it looks like Cleo is ready to introduce the service to other markets as well. In March 2019, Barnaby Hussey-Yeo, Cleo's founder and CEO announced that Cleo has hit another milestone - 1 million users. Founded in 2015, Curve is another great example of a startup solving a common problem with a simple, elegant solution. Curve’s card-based banking system allows its clients to access all their cards via their Curve card and pin number, alongside a 1-percent cap on exchange rates and a possible 14-day rollback on charges. The year 2018 saw Curve enter into the Beta phase, but it went public at the end of this year. In February, the company has announced faster purchase protection coverage for claims up to £100,000. Curve had also taken into a legal fight with American Express, which - just under 48 hours - has blocked the option to connect Amex cards with Curve account. When talking about London’s most renowned fintechs, what list would be complete without Revolut? The company offers a digital alternative to mainstream banking, using prepaid cards and peer-to-peer payments. It also supports a number of cryptocurrencies. 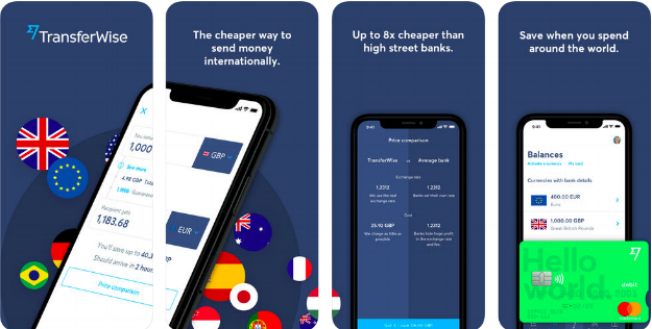 Since having been founded in 2013, Revolut has expanded to offer over 20 currencies through its mobile app, with over 100 supported through ATMs. The year 2018 has already been a great time for the business. Revolut has announced over 1 million customers in the UK and unveiled plans to launch in North America, Hong Kong, Australia, Singapore and New Zealand, as the company begins to expand its operations globally. In 2019, Revolut experienced a string of bad press coverage, including claims about poor compliance, as well as "toxic" startup culture (by "Wired"). Revolut's founder replied on the company's blog, stating that claims are misleading (both about compliance failures, and about the culture). On the business side, UK-based fintech keeps growing - it has attracted over 4 million users. The fintech industry is truly diverse. When it comes to 2019, it’s clear that many companies are looking to innovate and expand their markets. However, despite immensely improving their digital services, many companies still ensure a human approach without brick and mortar locations. Ishaan Malhi, Trussel’s founder, always emphasises the need for human elements in Fintech services, stating: “Technology enables us to scale up aggressively, but we must still provide customers with the reassurance that there is human time, thought, and judgement behind the advice they receive”. Yet others, such as Cleo and Receipt Bank, look to cut back on or remove the human interaction entirely. Whether there are benefits to either side remains to be seen, but it’s clear that these fintechs provide dynamic new services that bring value that traditional financial institutes are struggling to compete with.